Megyn Kelly walked onstage in a pink blouse and zebra print (?) skirt. Megyn Kelly shared the news of Julia Louis-Dreyfus’s breast cancer. Megyn Kelly actually performed a helpful public service by sharing that most of today’s “free coffee” deals are buy one, get one. 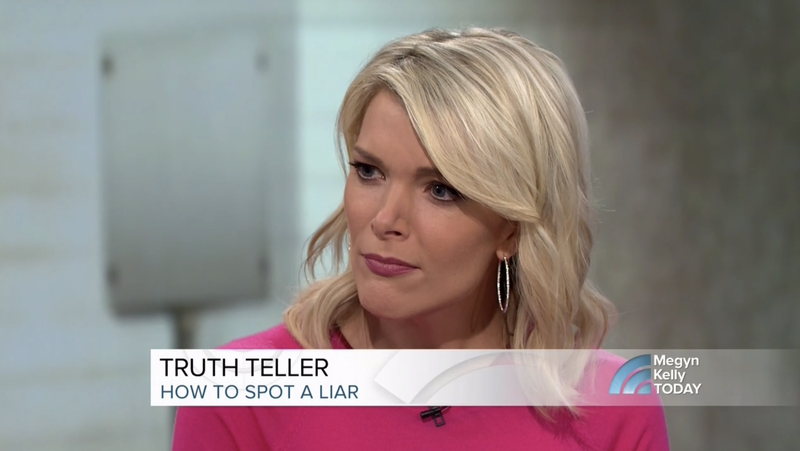 Megyn Kelly explained what qualities “we should be looking for” in a spouse. Megyn Kelly revealed that her husband DOUG is back in the audience!!! Does Doug have a job?!?!??!! Megyn Kelly brought out that English NBC correspondent to discuss Meghan Markle and Prince Harry. Megyn Kelly recapped the entire O.J. Simpson story. Megyn Kelly welcomed Christopher Darden to the stage. They sat in their two-armchair setup. Christopher Darden basically suggested that, yes, they should be! Megyn Kelly welcomed Fred and Kim Goldman to the stage, and the two-armchair setup suddenly became a four-armchair setup. Megyn Kelly introduced a pre-taped interview with “five of the six” women from the SNL cast. Bobby Finger realized his assumption that one of the regular cast members would ditch was completely wrong. “Five out of six” was only because the new featured cast member, Heidi Gardner, was not there. Megyn Kelly welcomed a former “CIA interrogator” named Phil Houston to the set with two stools and no table. Megyn Kelly said they would be playing a game during which Phil interrogates two audience members—one of whom “stole” a $100 gift card. The lying audience member pulled the $100 gift card out of her bra and gave it to the other one, then Megyn Kelly revealed they’d both be receiving $100 gift cards. Megyn Kelly came back after the commercial break and revealed she was now wearing high-waisted pants—for a segment about fashion! Megyn Kelly caught up with Hoda Kotb and Scott Wolff because Kathie Lee Gifford...has the day off?